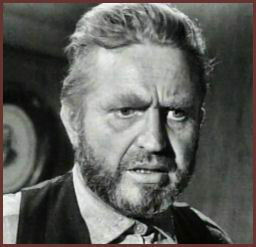 How many actors played Nils or was it Niles or Nels? Was it Swenson/Swensen or was it Svenson? 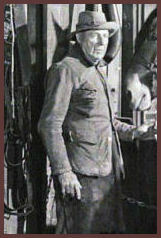 There were seven different actors who played Nils or Niles or Nels. 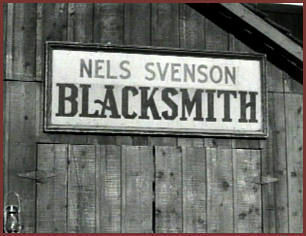 Here is a list of all of the actors who played the blacksmith and any conflicts in the episodes - to who's who????? *Any questions/comments ~ I sure would like to hear them! *When Lucas says his name in The Sister it sounds like he's saying Niles? "Care for a drink Nels/Nils?" 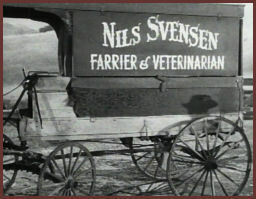 I think this is where some of the confusion comes in with the Nils/Niles/Nels Last name..... Swenson/Svensen ~ This is Nils Svensen ~ Farrier & Veterinarian ~ in this episode Nils has a Mrs. Svensen. You would think Nils would know how to spell his own name, wouldn't you? 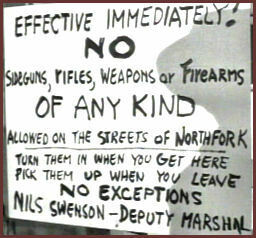 But then again on the sign above it reads Nils Swenson. 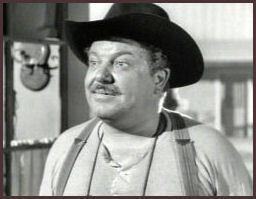 How many times has Joe Higgins appeared on The Rifleman? Do you think this breaks any records? 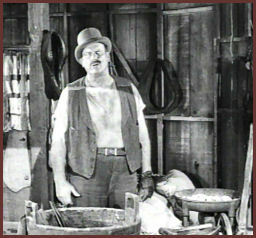 Joe also appeared in 4 other episodes as a different character. *Stopover was the only episode to run one day over schedule. 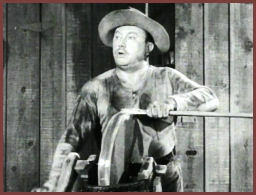 In The Deserter ~ when the Lieutent comes over to arrest Lucas ~ there is a man fixing a wagon wheel. 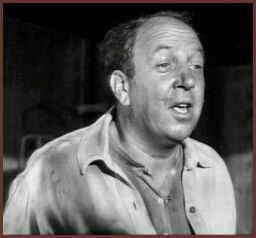 It sure looks like this man. He even has a derby on like this. No speaking part and no credit given. 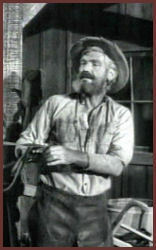 What do The Rifleman and Wanted Dead or Alive have in common?